Riverside County is one of fifty-eight counties in the U.S. state of California. As of the 2010 census, the population was 2,189,641, making it the 4th-most populous county in California and the 11th-most populous in the United States. The name was derived from the city of Riverside, which is the county seat. The resort cities of Palm Springs, Palm Desert, Indian Wells, La Quinta, Rancho Mirage, and Desert Hot Springs are all located in the Coachella Valley region of central Riverside County. Large numbers of Los Angeles area workers have moved to the county in recent years (data from the US Census Bureau for 2007 through 2011) to take advantage of relatively affordable housing. Along with neighboring San Bernardino County, it was one of the fastest growing regions in the state prior to the recent changes in the regional economy. In addition, smaller, but significant, numbers of people have been moving into Southwest Riverside County from the San Diego-Tijuana metropolitan area. The cities of Temecula and Murrieta accounted for 20% of the increase in population of the county between 2000 and 2007. Riverside County was named for the Santa Ana River in 1870. The indigenous peoples of what is now Riverside County are the Luiseño, Cupeño and Cahuilla Indians. The Luiseño lived in the Aguanga and Temecula Basins, Elsinore Trough and eastern Santa Ana Mountains and southward into San Diego County. The Cahuilla lived to the east and north of the Luiseño in the inland valleys, in the Santa Rosa and San Jacinto Mountains and the desert of the Salton Sink. Following Mexican independence and the 1833 confiscation of Mission lands, more ranchos were granted. Rancho Jurupa in 1838, El Rincon in 1839, Rancho San Jacinto Viejo in 1842, Rancho San Jacinto y San Gorgonio in 1843, Ranchos La Laguna, Pauba, Temecula in 1844, Ranchos Little Temecula, Potreros de San Juan Capistrano in 1845, Ranchos San Jacinto Sobrante, La Sierra (Sepulveda), La Sierra (Yorba), Santa Rosa and San Jacinto Nuevo y Potrero in 1846. When the initial 27 California counties were established in 1850, the area today known as Riverside County was divided between Los Angeles County and San Diego County. In 1853, the eastern part of Los Angeles County was used to create San Bernardino County. Between 1891 and 1893, several proposals and legislative attempts were put forth to form new counties in Southern California. These proposals included one for a Pomona County and one for a San Jacinto County. None of the proposals were adopted until a measure to create Riverside County was signed by Governor Henry H. Markham on March 11, 1893. The county is also the location of the March Air Reserve Base, one of the oldest airfields continuously operated by the United States military. Established as the Alessandro Flying Training Field in February 1918, it was one of thirty-two U.S. Army Air Service training camps established after the United States entry into World War I in April 1917. The airfield was renamed March Field the following month for 2d Lieutenant Peyton C. March, Jr., the recently deceased son of the then-Army Chief of Staff, General Peyton C. March, who was killed in an air crash in Texas just fifteen days after being commissioned. March Field remained an active Army Air Service, then U.S. Army Air Corps installation throughout the interwar period, later becoming a major installation of the U.S. Army Air Forces during World War II. Renamed March Air Force Base in 1947 following the establishment of the U.S. Air Force, it was a major Strategic Air Command (SAC) installation throughout the Cold War. In 1996, it was transferred to the Air Force Reserve Command and gained its current name as a major base for the Air Force Reserve and the California Air National Guard. Riverside county was a major focal point of the Civil Rights Movements in the US, especially the African-American sections of Riverside and heavily Mexican-American communities of the Coachella Valley visited by Cesar Chavez of the farm labor union struggle. The county's population surpassed one million people in 1990 (year-round, would be 1980 with seasonal residents) when the current trend of high population growth as a major real estate destination began in the 1970s. Once strictly a place for long distance commuters to L.A. and later Orange County, the county and city of Riverside has become more of a place to establish new or relocated offices, corporations and finance centers in the late 1990s and 2000s. More light industry, manufacturing and truck distribution centers became major regional employers in the county. According to the U.S. Census Bureau, the county has a total area of 7,303 square miles (18,910 km2), of which 7,206 square miles (18,660 km2) is land and 97 square miles (250 km2) (1.3%) is water. It is the fourth-largest county in California by area. At roughly 180 miles (290 km) wide in the east-west dimension, the area of the county is massive. 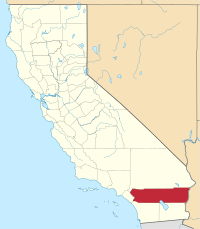 Riverside County, California is roughly the size of the State of New Jersey in total area. County government documents frequently cite the Colorado River town of Blythe as being a "three-hour drive" from the county seat, Riverside. Some view the areas west of San Gorgonio Pass as the Inland Empire portion of the county and the eastern part as either the Mojave Desert or Colorado Desert portion. There are probably at least three geomorphic provinces: the Inland Empire western portion, the Santa Rosa Mountains communities such as Reinhardt Canyon, and the desert region. Other possible subdivisions include tribal lands, the Colorado River communities, and the Salton Sea. There is a diversity of flora and fauna within Riverside County. Vegetative plant associations feature many desert flora, but there are also forested areas within the county. The California endemic Blue oak, Quercus douglasii is at the southernmost part of its range in Riverside County. In the county, the population was spread out with 30.3% under the age of 18, 9.2% from 18 to 24, 28.9% from 25 to 44, 18.9% from 45 to 64, and 12.7% who were 65 years of age or older. The median age was 33 years. For every 100 females, there were 99.1 males. For every 100 females age 18 and over, there were 96.8 males. In 1999, the County Board of Supervisors approved a multimillion-dollar planning effort to create the Riverside County Integrated Plan (RCIP) which was to encompass a completely new General Plan, regional transportation plan (CETAP) and Habitat Conservation Plan. The resultant General Plan adopted in 2003 was considered groundbreaking for its multidisciplinary approach to land use and conservation planning. Riverside County hands down 1 in 6 death sentences in the US, in spite of it having less than 1% of the population. The Riverside County Sheriff provides court protection, jail administration, and coroner services for all of Riverside County. It provides patrol, detective, and other police services for the unincorporated areas of the county plus by contract to the cities and towns of Coachella, Eastvale, Indian Wells, Jurupa Valley, La Quinta, Lake Elsinore, Menifee, Moreno Valley, Norco, Palm Desert, Perris, Rancho Mirage, San Jacinto, Temecula and Wildomar. Municipal departments within the county are Banning, Beaumont, Blythe, Calimesa, Cathedral City, Corona, Desert Hot Springs, Hemet, Indio, Lake Elsinore, Murrieta, Palm Springs, Riverside, Riverside Community College. Corona Cruiser serves the city of Corona. Riverside County is also served by Greyhound buses. Amtrak trains stop in Riverside and Palm Springs, and Amtrak California provides bus connections to the San Joaquins in Riverside, Beaumont, Palm Springs, Thousand Palms, Indio, Moreno Valley, Perris, Sun City, and Hemet. Metrolink trains serve nine stations in Riverside County: Riverside-Downtown, Riverside-La Sierra, North Main-Corona, West Corona, Pedley Station, Hunter Park/UCR, March Field-Moreno Valley, Perris-Downtown, and Perris-South. These trains provide service to Orange, San Bernardino and Los Angeles counties seven days a week, with a primarily commuter-oriented schedule. The population ranking of the following table is based on the 2010 census of Riverside County. ^ "Board of Supervisors". County of Riverside, California. Retrieved November 10, 2017. ^ "San Jacinto Peak". Peakbagger.com. Retrieved February 8, 2015. ^ Barragan, Bianca (February 6, 2014). "Why Are People Fleeing Los Angeles For San Bernardino?". La.curbed.com. ^ Capace, Nancy (1999). Encyclopedia of California. North American Book Dist LLC. Page 392. ISBN 9780403093182. ^ "2010 Census Gazetteer Files". United States Census Bureau. August 22, 2012. Retrieved October 3, 2015. ^ "U.S. Decennial Census". United States Census Bureau. Retrieved October 3, 2015. ^ "Historical Census Browser". University of Virginia Library. Retrieved October 3, 2015. ^ Forstall, Richard L., ed. (March 27, 1995). "Population of Counties by Decennial Census: 1900 to 1990". United States Census Bureau. Retrieved October 3, 2015. ^ "Census 2000 PHC-T-4. Ranking Tables for Counties: 1990 and 2000" (PDF). United States Census Bureau. April 2, 2001. Retrieved October 3, 2015. ^ "Locations". Archived from the original on December 21, 2010. Retrieved August 31, 2017. 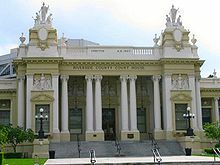 ^ "Rededication of the Historic Riverside County Courthouse". Archived from the original on March 22, 2007. Retrieved August 31, 2017. ^ "California Courts Online - The most comprehensive resource on California court information". Courtinfo.ca.gov. August 17, 2018. Retrieved August 17, 2018. ^ Barford, Vanessa. "Why is one county handing down one in six US death sentences?". BBC News. Retrieved December 25, 2015. ^ a b c d e f g h i j k l m n o p q "Wayback Machine" (PDF). July 27, 2013. Archived from the original (PDF) on July 27, 2013. Retrieved August 17, 2018. ^ 1932 Presidential Election County Map Photo by rarohla | Photobucket. Media.photobucket.com. Retrieved on July 29, 2013. ^ Leip, David. "Dave Leip's Atlas of U.S. Presidential Elections". Uslelctionatlas.org. ^ "About - Brandman University". Archived from the original on October 13, 2010. ^ "California Baptist University". Calbaptist.edu. ^ "California Southern Law School". Cslawschool.com. ^ "Palm Desert Campus". Pdc.csusb.edu. ^ "California State University San Marcos at Temecula". Csusm.edu. ^ "About College of the Desert". Collegeofthedesert.edu. Archived from the original on December 29, 2011. Retrieved August 31, 2017. ^ "About La Sierra University". 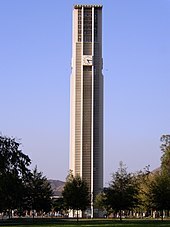 Lasierra.edu. ^ "Welcome to Mt. San Jacinto College". Msjc.edu. ^ "Palo Verde College". Paloverde.edu. ^ "Riverside Community College District". Archived from the original on September 29, 2010. Retrieved August 31, 2017. ^ "Why SBBCollege In California?". Sbbcollege.edu. Archived from the original on December 5, 2010. Retrieved October 8, 2010. ^ Pages - Project Details. Compassblueprint.org. Retrieved on July 29, 2013. ^ a b Husing, John (October 2007). "Inland Empire City Profile 2007" (PDF). Inland Empire Quarterly Economic Report. Redlands: Economics & Politics, Inc. 19 (4). Archived from the original (PDF) on February 27, 2008. Retrieved December 1, 2007. ^ "GNIS Detail - Eden". Geonames.usgs.gov. Retrieved August 17, 2018. ^ "US Census Bureau 2010 Census". census.gov. ^ "US Census Bureau 2010 Census Interactive Population Map". census.gov. Lech, Steve (2004). Along the Old Roads: A History of the Portion of Southern California that became Riverside County: 1772–1893. Steve Lech. p. 902. OCLC 56035822. Brown, James B. (1985). Harvest of the Sun: An Illustrated History of Riverside County. Northridge, CA: Windsor Publications. p. 244. ISBN 0-89781-145-3. OCLC 11916170. Justitia Rei Publicae Fundamentum: Justice is the Foundation of the Republic. Riverside, CA: Riverside Museum Press. 1998. p. 34. ISBN 0-935661-28-X. OCLC 40695255. Wikivoyage has a travel guide for Riverside County.